There are several benefits to renting or leasing a car, as opposed to owning it. Some of which include a hassle-free experience, the freedom to upgrade or switch over to another car, and the absence of hefty down payments and bank loans. And needless to say, renting and leasing can ease you from administrative matters such as vehicle maintenance and inspections. If you're considering this option for private transportation, be it for the coming festive seasons or prolonged usage, one of the best service providers in the business is CL Leasing. 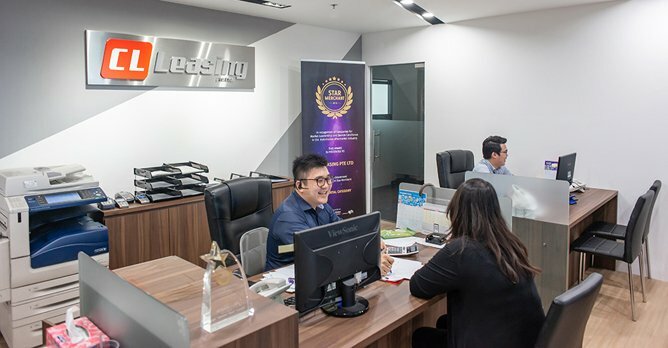 CL Leasing was born in 2013 to complement its affiliates, which include new car retailers Car Lingual, repair and servicing workshop Car Laboratories and motor financing firm Chuan Lee Enterprises. 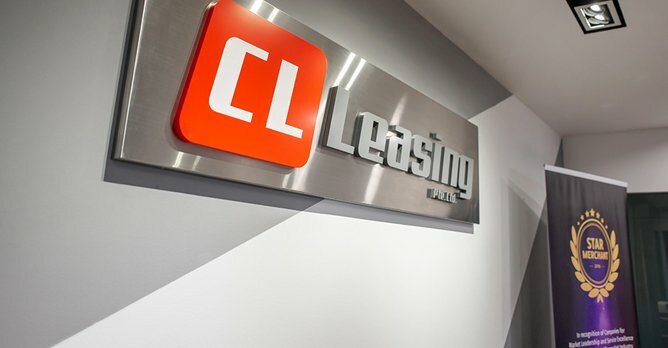 While it initially only offered a selection of Japanese cars, CL Leasing's inventory has since grown to consist of all kinds of cars imaginable, of all makes, from all over the world, catered to people from all walks of life (except for private-hire). Customers can choose from perennial favourites like the Honda Vezel, the Mitsubishi Lancer and the Toyota Altis or more upmarket ones like the BMW 5 Series and the Mercedes-Benz C-Class. Sportier ones like supercars can also be had, on an indent basis. But more than having just a wide variety, CL Leasing's cars are also pretty new, with 90% of them being new, or just under two-years old. CL Leasing purchases a bunch of new cars every month to make sure that their lineup is always refreshed and updated. When it comes to all its cars, CL Leasing ceases to rent them out if they've clocked too high a mileage as to avoid breakdowns and upsetting customers. Most importantly, CL Leasing prides itself on its customer-first policy, of which it credits to its well-balanced team of dedicated staff who share the company’s beliefs. Getting the car from them is easy, too. Simply place a deposit to confirm your booking, along with submitting the relevant documents such as your NRIC and driver's license details. 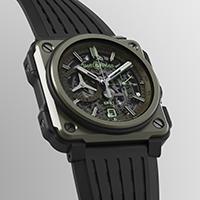 CL Leasing will then contact you with details of the collection date and time. Once you've made payment and checked the car for damages, drive off! Of course, the car is expected to return in the same condition as it was when collected, and your deposit will then be refunded in cash on the spot. CL Leasing also has a dedicated 24-hour hotline that you can call should you find yourself in a less than favourable situation. The company prides itself on having the best customer service in the market also in terms of urgency and response time, which is very crucial when giving customers a peace of mind. Every six months, long-term leasers will also receive a call from CL Leasing that informs them that it is time to service the car. They can either drive it down themselves or arrange for a sales representative to pick it up for them. And before the car leaves the showroom, it will get washed and wiped down to showroom condition. 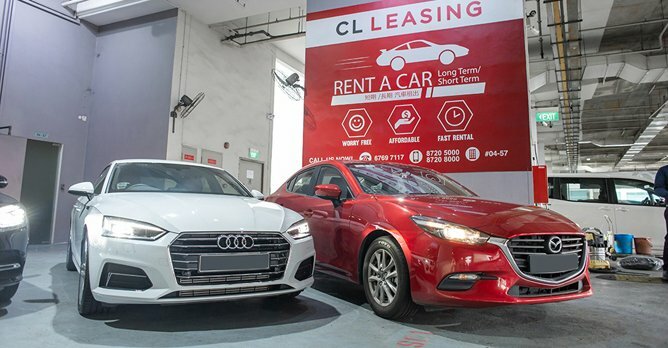 CL Leasing will be expanding into the car sharing industry in the coming year to cater to more customers who prefer shorter rental durations or closer collection points. Mr. Koh, Managing Director of CL Leasing, says, "Customers will be able to sign up and log in online via their mobile phone or computer to select and book our cars. Booking durations range from 15 minutes to weekly rentals and the cars can be collected and returned anytime throughout the day, at the same place." This means that CL Leasing's customers can even collect the cars at 3:00am, if required. Self-checkout can be done via the website, with a specific checklist to follow before driving off. Similarly, customers can self-check in when returning the car. CL Leasing plans to make available its car sharing service at various HDB car parks islandwide for added convenience for them. Like its rental and leasing programme, its staff will also provide assistance and support around the clock, if necessary. So if you're in need of a car today, but aren't willing to own one, simply contact CL Leasing. The company is located at 1 Bukit Batok Crescent, Wcega Plaza #04-57, Singapore (658064). For more information, please visit its website or Facebook page. Alternatively, you can call 6769 7117.